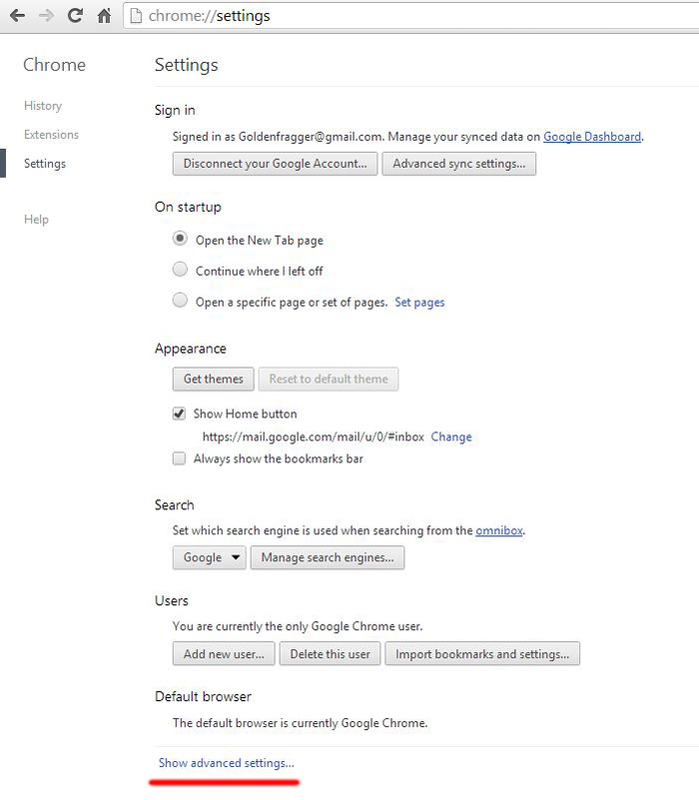 If you are a Google chrome user, you would have allowed Google chrome to save your passwords numerous times. But when you lose or forget your passwords, a very few of you consider to look for your saved passwords in Google chrome. 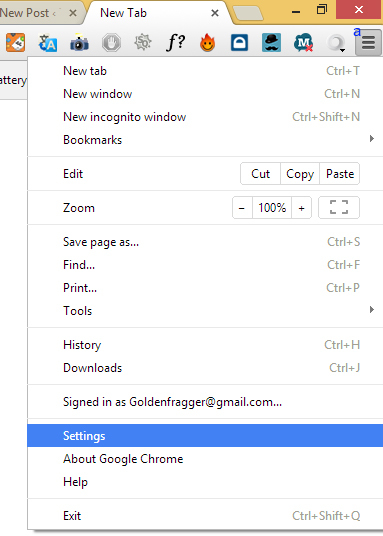 For those who are new to Google chrome, you should be aware that Google chrome has a built in password manager which usually prompts you to save your passwords whenever you login to an online service and if you allow it, it saves your password in its password manager. Since Google chrome’s password manager encrypts all your passwords before saving them in your Google account, it’s completely safe to save all your password in Google chrome. Additionally since its powered by Google, there’s no doubt your account details are at safe hands. 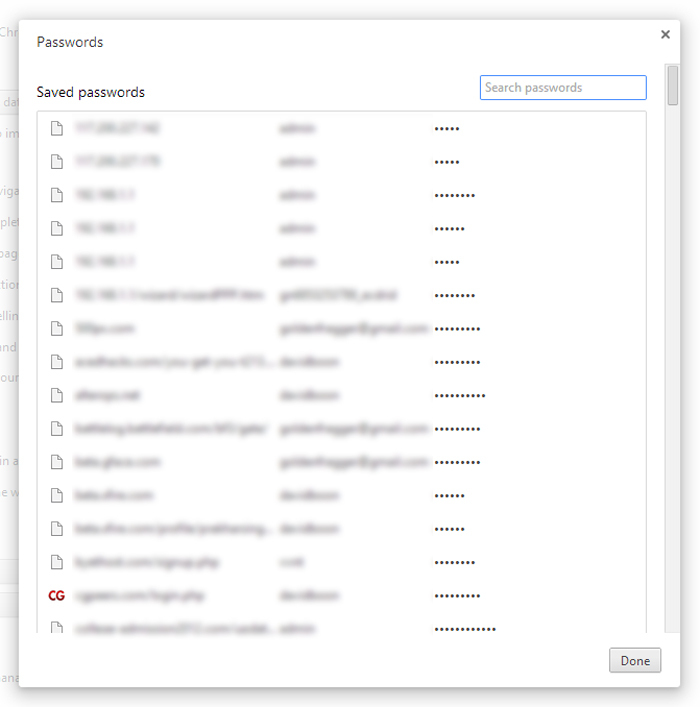 If in any event you lose or forget your password for any online service, it would be a very time saving option for you to look for your saved passwords in Google chrome’s password manager before hitting the Forgot password button. The following instructions would guide you through the entire process of viewing your saved password in Chrome’s password manager. 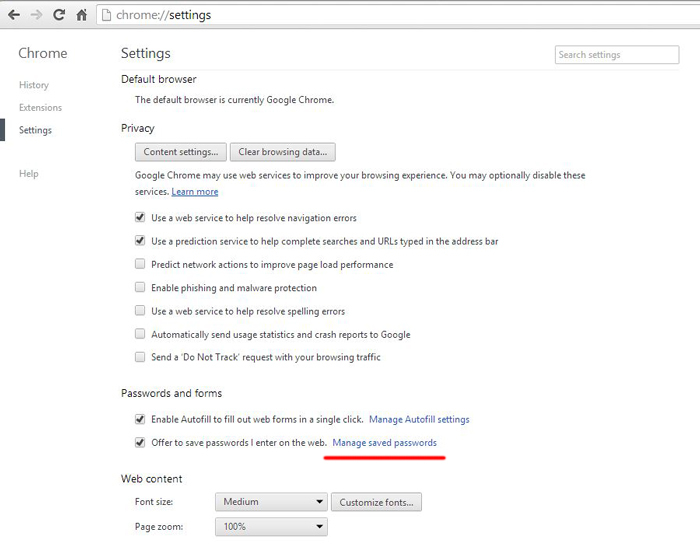 Step 1: Go to Google chrome’s settings . Step 2: Browse to the bottom of the settings page and click on Show advancedsettings to view the advanced settings . Step 3: Under Password and forms settings , click on Manage saved passwords . Step 4: Next Google chrome’s password manager will pop up on your screen , with a list of all the username and passwords saved in it . Step 5: To view your password for any website , just select the website and click on the show button besides the password field to view the saved passwords . Its as simple as that and you will be able to recover all your forgotten passwords with Google chrome’s password manager and the best part, you wont have to go through the hassles of resetting your password. Since your passwords are remotely saved in your Google account, they will be automatically downloaded to any computer where you sign in to Google chrome. So this way wherever you go, you can easily access your saved passwords.